Design of a 2,000 square foot hydronic snowmelt system for ADA ramps, stairs and pedestrian walkways at the Dolan Science Center. Construction administration and site observation reports. We provided construction phase commissioning services to confirm the system was operating properly during winter conditions. 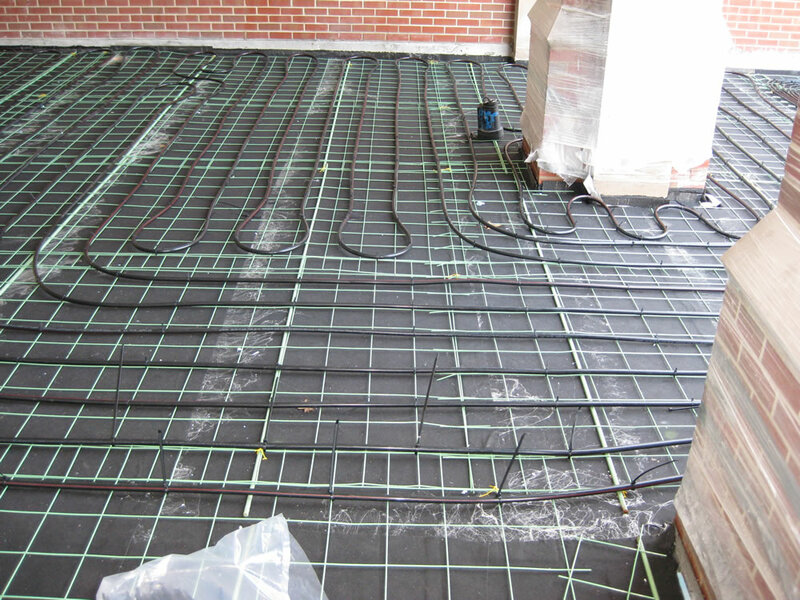 The snowmelt system was designed to accommodate a phased installation. 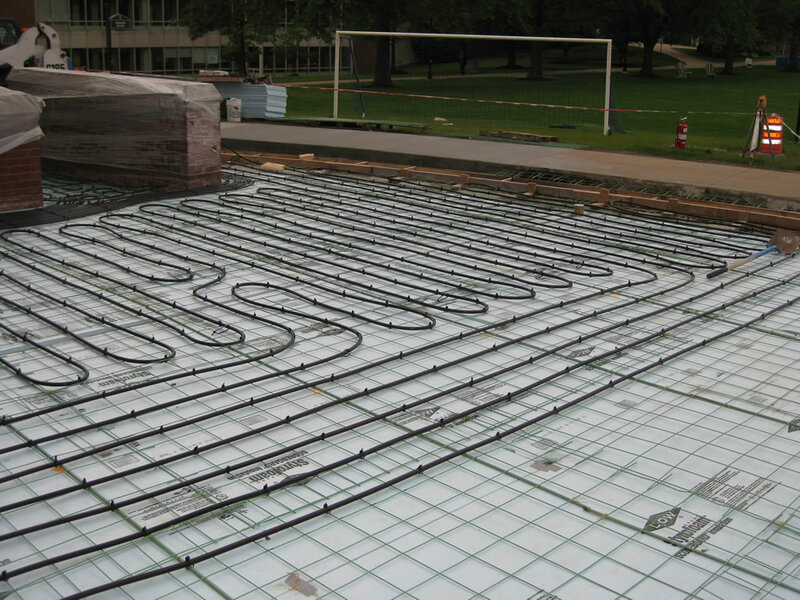 We designed and selected the appropriate pumps and heat exchanger and tied into the existing Science Center boiler piping system to serve the new snowmelt tubing grid with zoning controls. 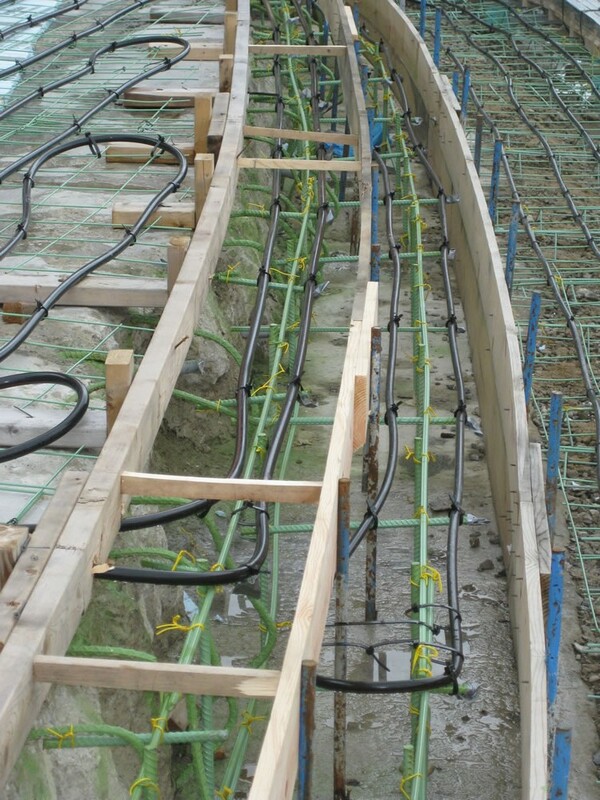 We developed specific details relating to the tubing installation within the different concrete slab types. The interconnection and routing of new piping within the existing Science Center to the new snowmelt grid was challenging. Access to zone isolation and balancing valves was carefully designed and coordinated within the snowmelt areas.